Dallas Denny has been a leader in the transgender rights movement since the 1980s. 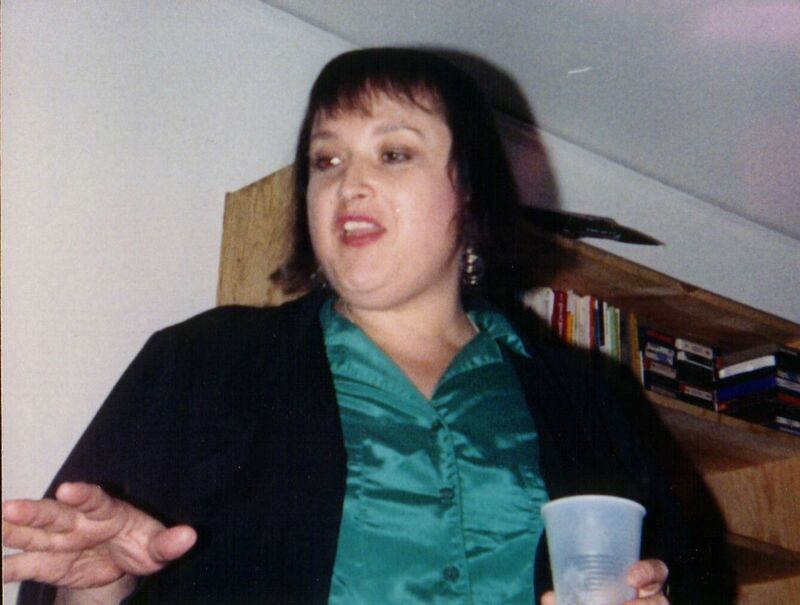 Her work as an advocate, writer, editor, and community builder have played a significant role in the advancement of rights for transsexual and transgender people in North America and around the world. She lives in the greater New York Metropolitan Area. Engage her to consult, speak at your event, or write for your publication. Here I am in 1990, just after my gender transition. Hello, and welcome to my website. You may have noticed I named these pages after myself—but it has nothing to do with ego, honest. I did so only because awesomefun.com, moreawesomefun.com, and evenyetmoreawesomefun.com were already taken. I’m a writer and educator with many years experience both as a professional in the mental health field and as a writer, educator, and passionate and compassionate activist on transgender issues. Did I mention I myself am transsexual? My transition and surgery happened long ago and I get so caught up in my life and work I sometimes forget to disclose. I’m an accidental activist. That is, I didn’t initially set out to change the world. I was sucked in by my need to help others like myself. Because I had a horribly hard time finding reliable information and professionals who knew more about transsexualism than I did, I wanted those who came after me to have more information, support, and acceptance. Then I did set out to change the world, and I like to think in a small way I and others like me did. Things are certainly better for us than they were even a decade ago. Of course, we have a long way yet to go. Transgender and transsexual people are still being murdered worldwide at an alarming rate and we still face widespread discrimination and find ourselves unable to marry in many places. Okay, lend me an arm to lean on as I step off this soapbox. Was founding board chair of Transgender Health & Educational Alliance, Inc.
I’ve accomplished a lot, and my intention is to share my work with you on this website. I’d love to speak at your school or conference. Invite me! Dallas Denny is renowned for her work on advocacy, policy issues, and health practices involving transsexual and transgender people. She has served as adviser to the World Professional Association for Transgender Health, The University of Michigan, the Centers for Disease Control, the city of Atlanta, journalists, and filmmakers. For nearly twenty years she taught a class on transgender issues at Emory University. She has made hundreds of presentations and delivered many keynote talks at universities, businesses, professional organizations, and conferences. Dallas has written three books and written or co-written more than 25 chapters in textbooks, hundreds of articles, editorials, and columns for magazines and journals, and assorted booklets and pamphlets. She is former Editor-In-Chief of the journals Chrysalis and Transgender Tapestry and founding executive director of the American Educational Gender Information Service, Inc, which is now known as Gender Education & Advocacy, Inc. In the 1990s Dallas donated her extensive collection of written and filmed books, papers, magazines, and ephemera to AEGIS. The collection, now known as the National Transgender Library & Archive, is permanently housed in the Joseph A. Labadie Collection at the University of Michigan Library System, where it is open to the public. Dallas was founding board chair of Transgender Health & Educational Alliance and one of a number of founders of the Southern Comfort conference. She has been involved for more than 25 years with the week-long conference Fantasia Fair, where she served at various times as executive director, program director, registrar, and office manager. She is former board chair of Real Life Experiences, Inc, and current board member of Gender Education & Advocacy, Inc. She has been honored with the major awards of the transgender community (Outreach Institute Award, Fantasia Fair award, IFGE’s Trinity and Lifetime Achievement Awards, and Real Life Experience’s Transgender Pioneer Award). In 1990, she founded the still-existing Atlanta Gender Explorations Support Group. She is past board member of The Outreach Institute and Atlanta Pride and past director of Atlanta’s Montgomery Medical & Psychological Institute. Dallas holds the B.S. and M.A. degrees in psychology and for many years was licensed to practice psychology in Tennessee. She retired her license after moving to Georgia, which has no equivalent license. She is an accomplished applied behavior analyst with extensive experience in behavioral programming with adults and children with developmental disabilities.